The 10 Best RV Trips To Take In Arizona - Must See! Arizona is one of the most popular year-round RV destination in the United States. From the Grand Canyon to the massive underground labyrinth of limestone caves in southern Arizona, Arizona has a lot of incredible places to visit. Known for its deserts, golf courses, and thousands of cacti, Arizona is more than just a barren desert. Rich in native wildlife, Arizona has two ski mountains, three national parks, and four national monuments. Not to mention the city life is pretty rad, too! After some extensive research and personal experiences, we’ve compiled a list of the best RV trips in Arizona. Remember, even if you don’t have an RV, you can have an RV trip of a lifetime with an RV rental. Plus, an Arizona RV trip with kids would be the ultimate summer vacation! Perhaps the most famous and visited national parks in the world, the Grand Canyon extends over 277 miles along the Colorado River in northwest Arizona. The South Rim of the park is open all year long while the less visited North Rim is open seasonal due to snow in the winter. Yes, it does snow in Arizona! With 50 named viewpoints on the South Rim, you’ll surely find the perfect Instagram-worthy spot. Yavapai and Yaki are arguably the best views with easy access. For those of you would want a little adventure, the Bright Angel Trail is a spectacular 9.5-mile route to Indian Gardens, the Tonto Bench, and the Colorado River. 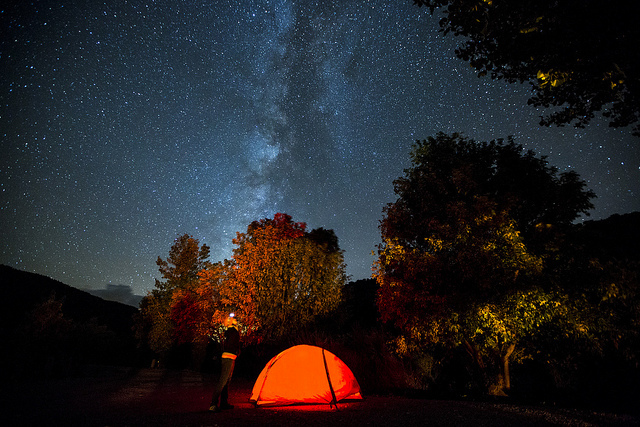 With tons of campground around, you’ll find plenty of places to park your RV rental for the night and enjoy the immense beauty of America’s most popular national park. There’s a reason why it’s number one on our Arizona RV trip itinerary. 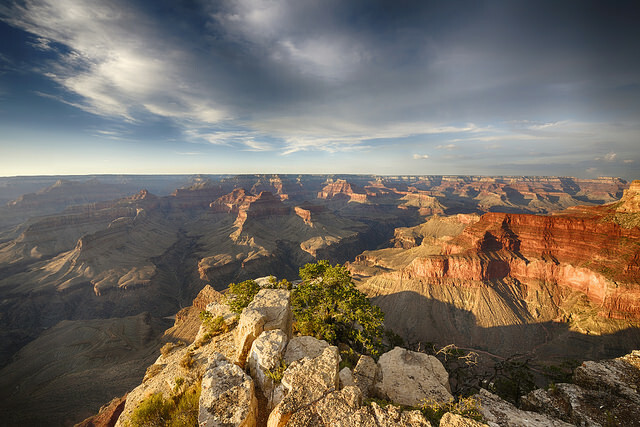 There are tons of RV parks and campgrounds around the greater Grand Canyon area. Located within the busy Grand Canyon Village, Trailer Village is adjacent to the tent-only Mather Campground and offers full RV hookups. If you want to modern comforts of home, like cable TV and free wireless internet, then consider a stay at the Grand Canyon Railway RV Park in Williams. Montezuma Castle National Monument is one of the four original national monuments designated by President Theodore Roosevelt on December 8, 1906. 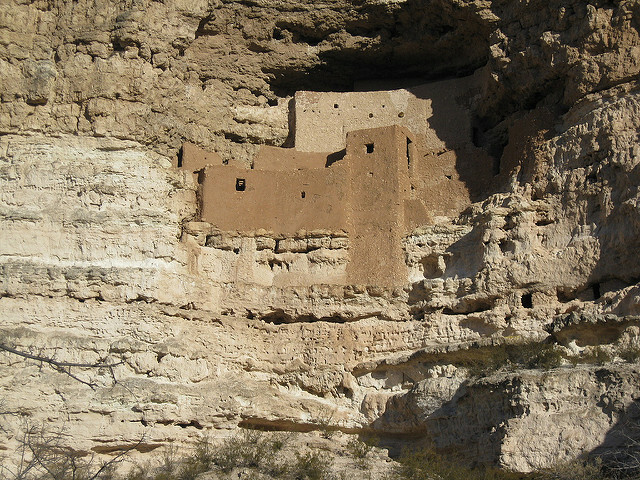 Roosevelt said Montezuma Castle was a place “of the greatest ethnological value and scientific interest.” Montezuma Castle in Camp Verde was built by the Sinagua people between 1100 and 1425 AD. Situated 90 feet on top of a limestone cliff, Montezuma is a 4,000-square foot, five story building. While tourists no longer have access to the interior of the ruins, the site is impressive to see in person. This remote park is one of our best Arizona RV trip ideas. There are plenty of RV parks in the central Verde Valley, but Distant Drums RV Resort is Northern Arizona’s premier RV resort with paved roads, a heated pool and spa, and full hookup sites. You only want to stay in the best RV resorts during your Arizona RV vacation. Looking at an old forest doesn’t sound appealing when you can visit the epic beauty of the Grand Canyon, but the Petrified Forest National Park is well worth the visit. Don’t be surprised by the lack of tall trees. 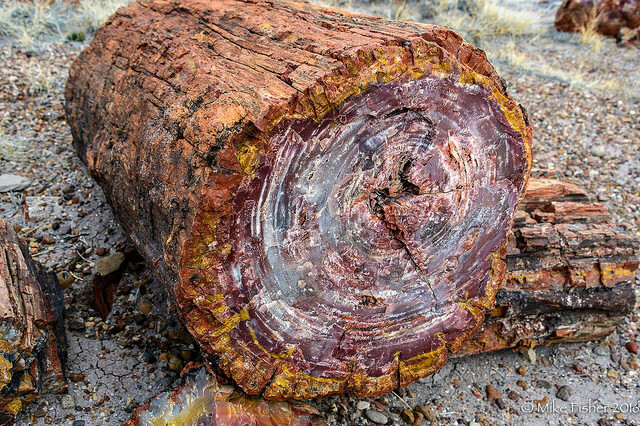 The Petrified Forest mostly contains stone log fragments scattered across the desert. You’ll want to spend some time at the Painted Desert Visitor Center and then drive the 28-mile road through the park to catch incredible vista views of the Painted Desert and the bright hues of the petrified wood. Don’t miss this park as it’s one of our best Arizona RV travel tips. Located not far from the entrance to the Petrified Forest National Park entrance, the Holbrook/Petrified Forest KOA campground has a seasonal pool, free WiFi, and lots of great RV sites. Other nearby RV parks include OK RV Park and Sun Valley RV Resort. Open year-round, the Sonoran Desert National Monument is nearly 500,000 acres of rugged mountains and cactus plains southwest of the city of Phoenix. Unlike other BLM-administered national monuments, the Sonoran Desert doesn’t have central attractions or facilities. Instead, the park was designed to protect native habitats and wildlife, Native American relics, and historic sites. There is great hiking around the Table Top Wilderness, Sand Tank Mountains, and North and South Maricopa Mountains Wilderness. With tons of options in the Greater Phoenix area, you’ll have your pick of places to park your RV for a night or two. Gilbert Ray Campground has 130 RV sites with individual 30-amp electrical hookups. Reservations are first-come, first-served. If you want a bit more luxury then look no further than Desert Gardens RV Park in the heart of the Sonoran Desert. Arizona might be beautiful on the ground, but have you seen what she looks like underneath? Kartchner Caverns State Park, nestled at the eastern base of the Whetstone Mountains, is a 2.5-mile cave system discovered in 1974 by caverns. 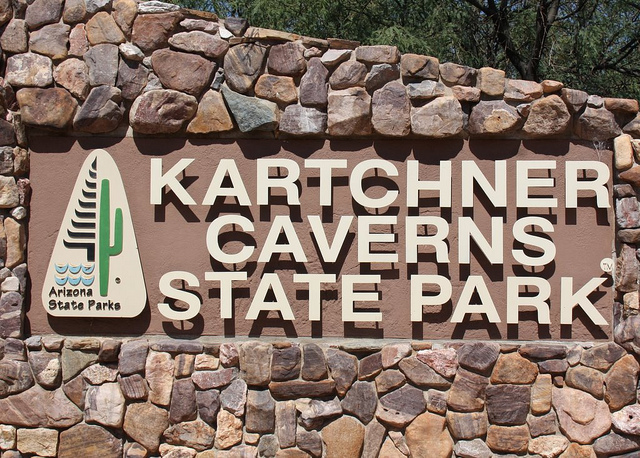 The cave system became an official Arizona State Park in 1988 allowing thousands of people every year to experience the underground beauty of the “Throne Room” and the “Big Room.” The Throne Room contains one of the world’s longest soda straw stalactites and other cool features that you don’t want to miss. You don’t have to go far as the state park is home to its own campground. There are 12 pull-thru sites with full hookup and 43 other sites of varying size for smaller RVs. While you might not have a pool or free WiFi at this campground, you will have first access to the caves in the morning! 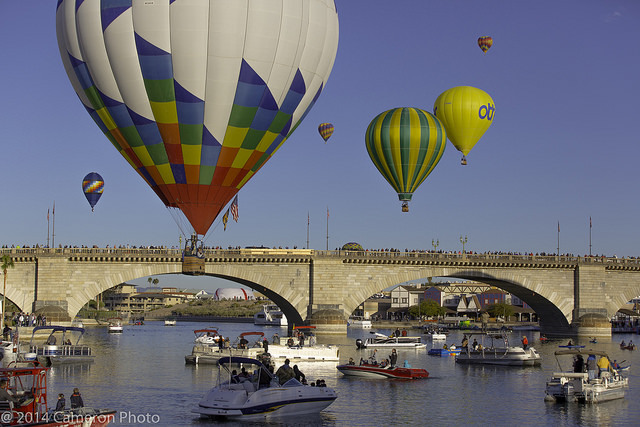 Did you know that the original London Bridge that once spanned the Thames River in London now lives in Lake Havasu, Arizona? The former “New” London Bridge that was built in 1831 to replace the centuries old London Bridge was dismantled in 1967 and sold to Robert McCulloch and later reassembled piece by piece in Lake Havasu City. Today, thousands of people stroll across the famous bridge while others take the $10 90-minute walking tour. Located within the city limits, Campbell Cove RV Resort is the newest RV park in town. Named as the “Most Scenic RV Park in Lake Havasu,” this RV park has spectacular views of Lake Havasu. On the other side of the London Bridge, you’ll find Crazy Horse Campgrounds with lots of great sites for RV rentals. While you’re there, you can check out some of the top RV dealers in Arizona. 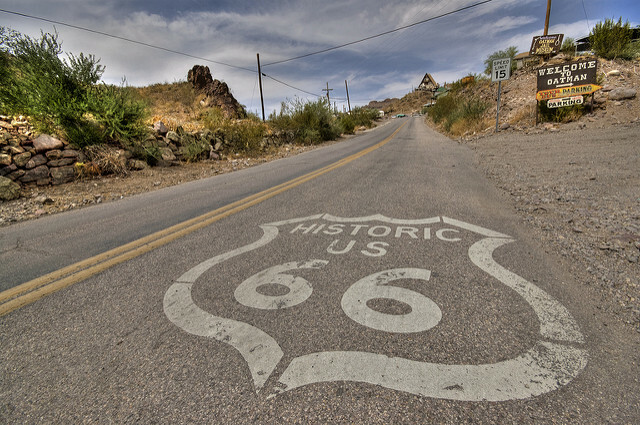 Route 66 is the most iconic highway in the United States and the most iconic Arizona RV road trip. Also known as the Will Rogers Highway, Route 66 was established on November 11, 1926. Covering 2,448 miles from Chicago, Illinois to Santa Monica, California, Route 66 served as a major highway for those who migrated west, especially during the Dust Bowl” of the 1930s. Arizona arguably has some of the most beautiful stretches of the famed route that winds through the northern section of the state. From Route 66, you can visit the Petrified Forest National Park, the city of Flagstaff, and the Grand Canyon National Park. Route 66 covers over 400 miles across Northern Arizona so there are hundreds of RV parks and campgrounds across the route. The city of Flagstaff has many options, like the Flagstaff KOA and Greer’s Pine Shadows RV Park. The Grand Canyon Railway RV Park is a popular RV park near the Grand Canyon National Park entrance in Williams. 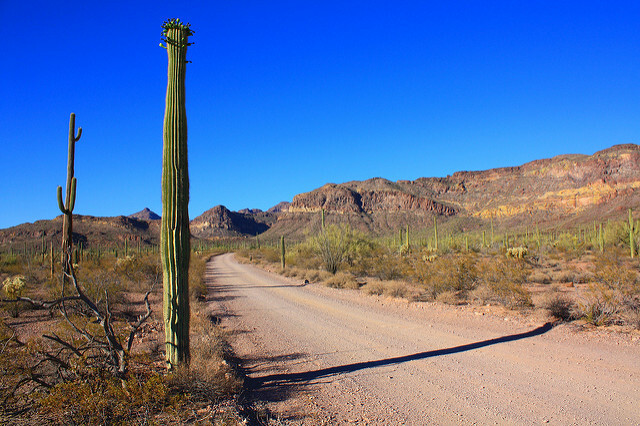 Throughout the route, you’ll find tons of great places to park your RV in Arizona. The world’s best-preserved meteorite impact site on Earth is located just minutes away from the old Route 66 in Northern Arizona. About 50,000 years ago, an asteroid traveling at 26,000 miles per hour crashed into Earth leaving behind 2.4-mile circumference crater that is more than 550 feet deep. Take a tour on the Rim Trail or spend some time at the Discovery Center learning about the giant fiery meteor that weighed several hundred thousand tons. 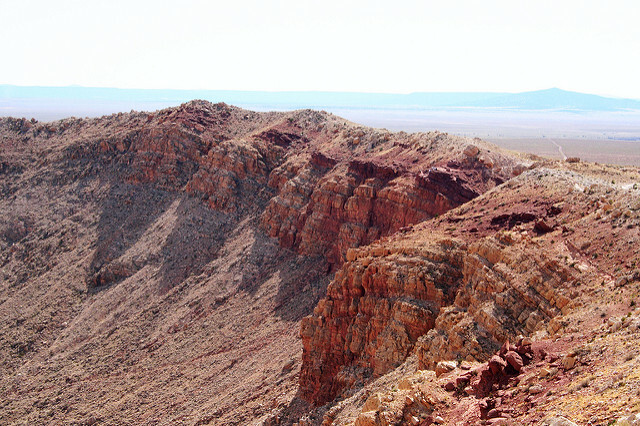 The only place you’ll want to park your RV for the night is the Meteor Crater RV Park. It’s close to the Visitor’s Center and has a ton of open spaces for the kids to run around and enjoy Arizona’s Great Outdoors. The city of Flagstaff is only a 35-minute drive from the park. 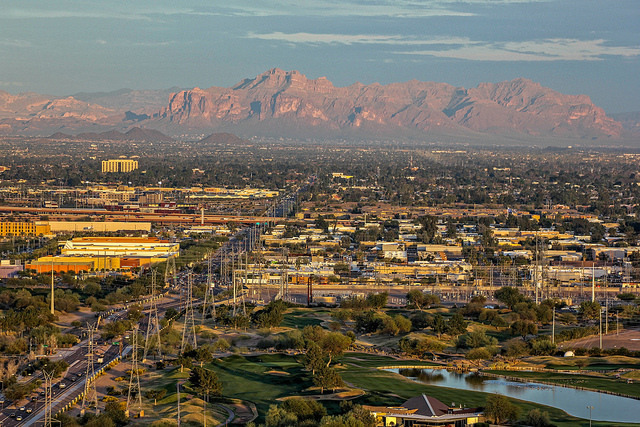 As the 5th most populous city in the United States, Phoenix has a lot to offer visitors. No trip to Arizona would be complete without spending at least a few days in the city soaking up the museums, cafes, and delicious restaurants. Hike 1,200 feet to the summit of Camelback Mountain for panoramic views of the city or spend the afternoon at the Heard Museum exploring the immersive exhibits of the 22 regional American Indian tribes. The Phoenix Art Museum is home to the Southwest’s largest fine art museum that is open to the public for free. For hip cafes and breweries, take the short drive over to Old Town Scottsdale. This Arizona RV trip planner is just a start, there are tons to do in Phoenix! As one of America’s largest cities, you’ll find numerous options in the city’s outskirts to park your RV rental for the night. Eagle View RV Resort in Fort McDowell is a large RV resort with a heated swimming pool, complimentary continental breakfast, and tons of great amenities. For the ultimate luxury vacation for the golf lover, you can’t miss Palm Creek Golf & RV Resort. There’s a massive swimming pool, ballroom, billiards room, and a new sports complex. Not to mention their own Par 3 Championship Golf Course! Palm Creek is one our top 10 campgrounds and RV parks in Arizona list. It’s that awesome! The Organ Pipe National Monument in Ajo, Arizona is a 517-square mile park set aside to preserve the northernmost natural habitat of the Organ Pipe Cactus. With plenty of hiking trails, scenic drives, and native desert wilderness, you don’t want to miss the incredible natural diversity of this region of Arizona that is not often visited. The Twin Peaks Campground, the main campground at Organ Pipe Cactus National Monument, has 208 campsites that can accommodate RVs of varying sizes. There are no hookups at this rustic campground so if you want a bit more modern luxury, stay at the Ajo Heights RV Park.